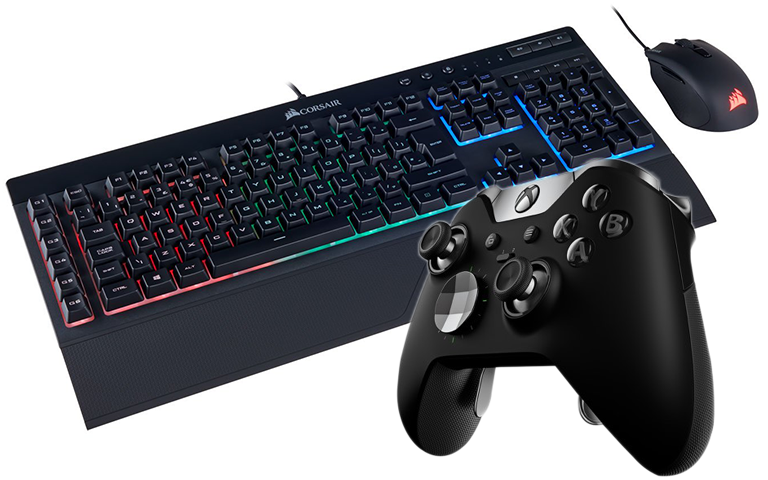 PC vs. console is a common debate, and one that never gets old, but there's another similar question that's every bit as interesting; joypad or keyboard and mouse? The difference between the two is dramatic and there are pros and cons on both sides of the fence. Can a joypad ever be as precise and configurable as a keyboard and mouse? Or can a keyboard and mouse ever be as comfortable as a joypad? And the traditional associations are also starting to blur - plenty of people now use a joypad with their PC, and keyboard and mouse support is becoming more commonplace on consoles. Heck, even the same user can shift preferences. I used to be an avid PC gamer who swore by the keyboard and mouse, but these days I'm happier sitting on the couch with a joypad. How about you? For this week's question we're asking: joypad or keyboard and mouse? Share your thoughts using the comments facility below. Depends entirely on the game, for example first person shooters are undeniably better with keyboard and mouse, but generally controllers are better for racing games and platformers. Although my missus insists that everything should be done with the wheel! Games Controllers for shooting anything are utter dross. I don't play shooters and never play online multiplayer, so the performance or response issue is irrelevant to my gaming. But it's that long since I used a keyboard and mouse for gaming, I just find it very difficult. Oh, might have been that DOA game. A friend of mine cosplays as Mai Shiruanianinuinininiuioiaiou-thingummy and I had no idea who she was, so I got the game to have a play.